James Corden gets close with sneaker culture. Though sneaker culture is in the midst a boom period, not everybody understands the obsession. One outsider intrigued by the hobby is new Late Late Show host James Corden, who hit the streets for a Saturday morning Air Jordan release to tackle the issue head-on. In a segment filmed for a recent episode, Corden stopped by Shiekh Shoes for last month’s ‘Marvin the Martian’ 7 launch. 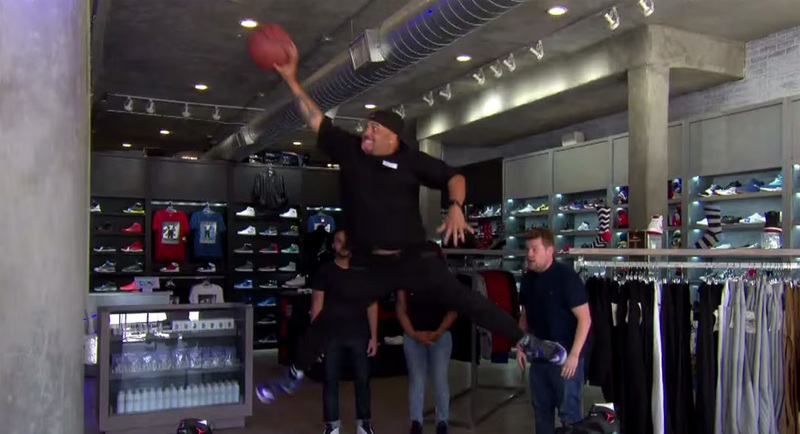 After asking patrons in line a few questions about buying and collecting sneakers, Corden hosted an in-store game shoe to give away a free pair. Watch below.